tbca = findThermalBC(thermalmodel.BoundaryConditions,RegionType,RegionID) returns the thermal boundary condition assigned to the specified region. Apply temperature boundary conditions on edges 1 and 3 of the square. Apply a heat flux boundary condition on edge 4 of the square. Check the boundary condition specification on edge 1. Check the boundary condition specifications on edges 3 and 4. Create a thermal model and include a block geometry. Apply temperature boundary condition on faces 1 and 3 of a block. Apply convection boundary condition on faces 5 and 6 of a block. 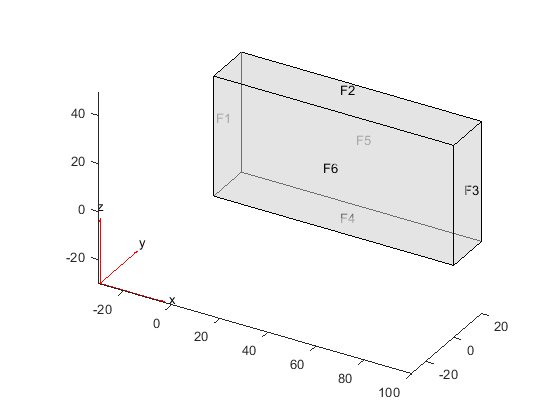 Check the boundary condition specification on faces 1 and 3. Check the boundary condition specifications on faces 5 and 6. 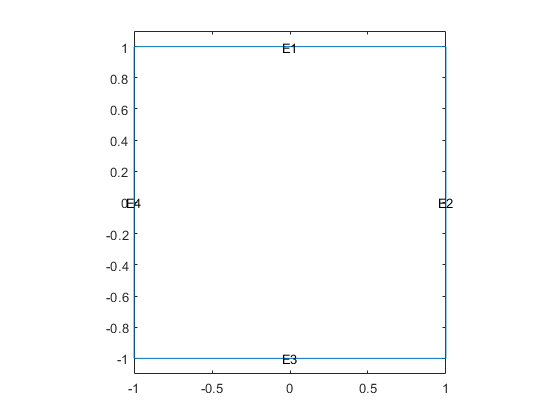 Boundary conditions of a thermal model, specified as the BoundaryConditions property of a ThermalModel object. Geometric region type, specified as 'Face' for 3-D geometry or 'Edge' for 2-D geometry. Geometric region ID, specified as a vector of positive integers. Find the region IDs using pdegplot with the 'FaceLabels' (3-D) or 'EdgeLabels' (2-D) value set to 'on'. Thermal boundary condition for a particular region, returned as a ThermalBC object.